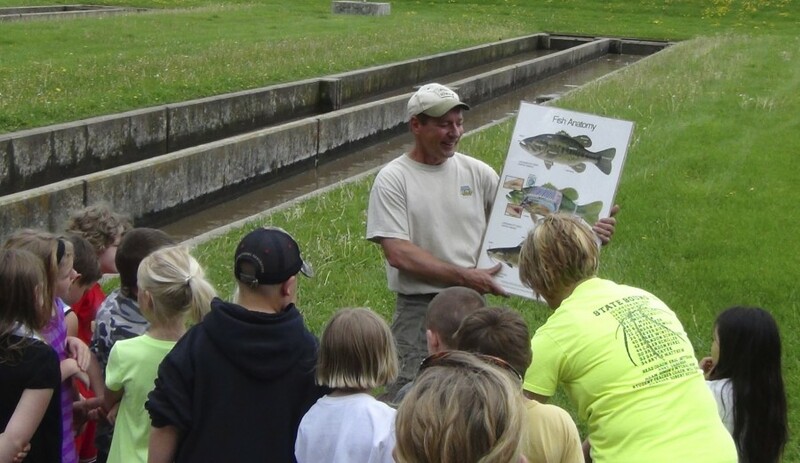 The Big Spring Rearing Station is located along the Turkey River 10 miles northwest of Elkader in Clayton County. Approximately 150,000 rainbow and brook trout are reared at Big Spring and stocked by hatchery personnel into 15 different coldwater streams. All trout reared at Big Spring are obtained from the Manchester Hatchery when they are 2-3 inches in size and then grown to catchable size (10-12 inches). In total it takes approximately 15 months to grow a trout to catchable size. The water supply for Big Spring is fed by the largest coldwater spring in Iowa. Flows from the spring usually range from 20,000 to 30,000 gallons per minute (GPM), but can exceed 150,000 GPM. The Big Spring Watershed is one of the most well known and studied sites in the nation when it comes to information on groundwater in a karst (limestone) dominated landscape. The Big Spring Basin is a showcase for large sinkhole, losing streams, and caves. 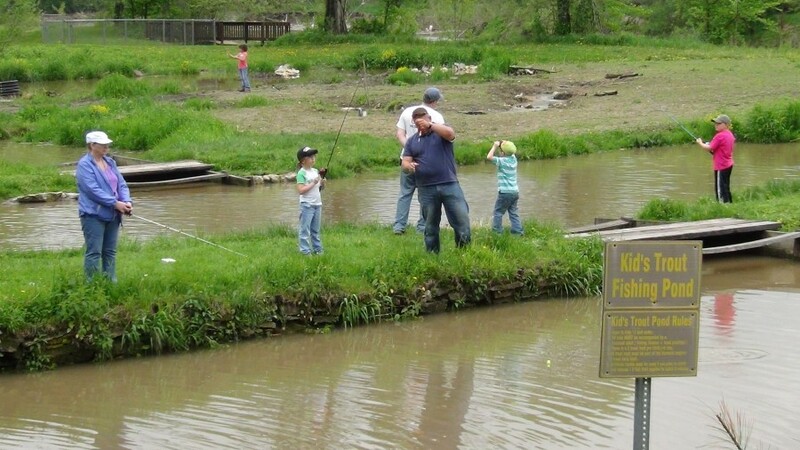 The Turkey River at Big Spring is open for public fishing. Recently completed renovations include an improved angler access trail along the river, a trout pond at the entrance that is open for public fishing, and a kids fishing pond for young anglers 15 and under (kids must be accompanied by a licensed adult). Trout are stocked in the Turkey River 3 times a week including most Saturdays from April 1 through the end of October. The hatchery grounds and Turkey River are open to the public 7 days a week year round. A primitive campground is located at Big Spring that is open to the public free of charge & within walking distance of the hatchery. What you need to fish for trout: Any angler 16 or older needs to have a fishing license and trout privilege to fish for trout. Anglers younger than 16 can fish for trout if they are with a licensed adult or they can purchase their own trout privilege if they want to keep their own daily limit of 5 trout.